The world was captivated this past June when 12 boys on a soccer team, along with their coach, were miraculously rescued from an underground cave in Thailand after being trapped for three weeks. Matt Gutman, ABC News’ Chief National Correspondent, covered the rescue on the ground in Thailand, and has written the new book, The Boys In The Cave: Deep Inside the Impossible Rescue in Thailand to show the real story of what was taking place inside the cave, which was far different than the information being given to reporters on the scene. To get to the truth, Gutman spent hundreds of hours interviewing dozens of rescuers, experts, and eye-witnesses. The Boys In The Cave breaks new ground on the failed plans and human mistakes that nearly doomed the mission, the actions of the Thai Navy SEALS and US Air Force Special Tactics team, the controversial role medication played, the important role meditation played, and the innumerable close calls, plus additional rescues, that have never been reported. Gutman details the chaotic initial hours after the boys went missing and the boys’ first terrifying night through exclusive reporting from the boys, their parents, and the first search teams on the scene. 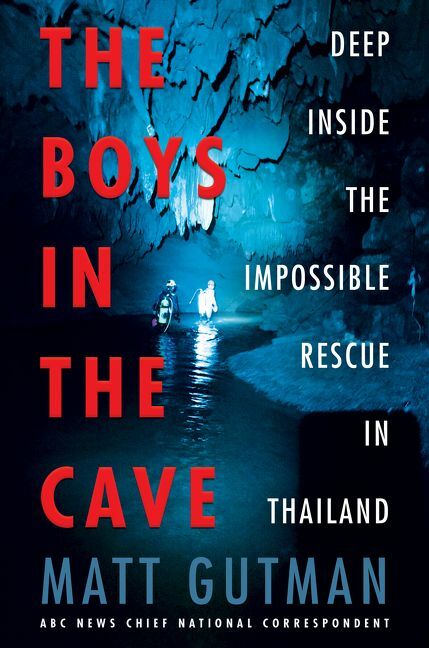 Through exclusive access to the rescuers, Gutman brings readers inside the cave with the divers, detailing what they saw, heard, and smelled as they worked to free the boys. "They had surfaced in alien territory," Gutman writes of two of the cave divers. "A three-hour hard swim from help, they were suspended in a tunnel darker than the remotest corner of space, where no radio or cell signal could penetrate. It was a spot so distant and hostile that it had repelled rescuers for nine straight days - it was in northern Thailand, but it might as well have been on another planet. "For hours, British cave divers Rick Stanton, fifty-seven, and John Vollanthen, forty-eight, had finned against the current, breathing heavily in their scuba regulators and carefully unspooling the pencil-thin guideline behind them. To keep the blue line more or less in the center of the passage, they would tie it around a hanging stalactite or a dagger of limestone jutting into the tunnel. It had continued like this until Stanton glanced down at the 250-yard spool, noticing that it only had about five yards left - which meant they had a decision to make. That guideline was basic diving protocol, and it was their sole link to the outside world - ensuring that they wouldn't get lost or trapped on the mile-and-a-half-long journey out of the cave. "The cave-diving pair was now farther into the Tham Luang cave than any of the hundreds of rescuers before them had been. To survive they could rely on what they carried: the three lights attached to their helmets, a few zip ties, their fins, a chocolate bar in a wet-suit pocket, and the two air cylinders each. Stanton checked the dial of his air gauge; he had consumed about a third of his air supply, another reason to turn back. "If cave diving was a religion, the rule of thirds would be its first commandment: use a third of a tank on the journey in, save a third for the journey out, and always reserve a third in case of trouble - like getting lost even in well-traveled passages, becoming physically stuck in chokepoints where the cave pinches down from the size of a dining room to a dinner plate, getting tangled in their own guideline; all of these can lead to a diver running out of air and dying. Quicker deaths can result from equipment failure, landslides, flash floods, or just slamming headfirst into rock. And sometimes the end is generated from within - the boundless darkness itself leading to panic attacks, and panicking in the water often leads to death. "It was Monday, July 2, and the two divers - skinny, pale, middle-aged Brits - were not planning on dying that day. They were among the world's best cave divers, comprising the two-man tip of a spear in a rescue operation involving up to 10,000 soldiers, civilian rescuers, and volunteers. Twelve members of a local Thai youth soccer team and their twenty-four-year-old coach had gone into the cave on June 23 and had never come out. The cave opens with a series of hangar-size rooms and tapers down into passages as tight as the space between your car and the ground. In their search, rescuers had found ample evidence that the boys were in the cave: the backpacks they had dropped, cleats, their bikes parked outside. But they had zero evidence they were alive." More than a week before the divers rescued the first boys, Vollanthen and Stanton saved four Thai pump workers. As flood water filled the cave in those early days, the workers became marooned. Gutman reveals that, initially, the rescuers believed that most of the boys would not survive a rescue dive. The Thai government initially opposed the rescue mission but were eventually convinced by a USAF Specials Tactics team that waiting for the monsoons to end would be a death sentence for the boys. The members of that USAF Special Tactics team are the unsung heroes of the rescue, as they assembled a group of the best international divers they could find, organized them, and made them believe a rescue was, in fact, possible, and then leading them from the first brainstorming sessions to the successful extraction. As Gutman reports for the first time, two of the boys nearly died during the rescue. One stopped breathing under sedation multiple times, forcing the divers to cradle him in the mud to keep his airway open. The other nearly died of hypothermia when his rescuer became hopelessly lost in the cave. For the first time, Gutman details the dangerous sedation of the boys during each of the rescue dives, in which a cocktail of sedatives was used that left the boys comatose. In a part titled "D-Day," Gutman writes of one of the rescue missions, "Saturday, July 7, dawned bright. As it does nearly every day at that time of year, the heat had settled and towering cumulonimbus clouds packed with moisture reared up. They released it sparingly, the rain mercifully measuring only a fraction of an inch. Outside the cave, microbes and fungi on the forest floor munched on plant litter and animal waste. Insects labored away, carrying food to dens. Ferns, thorns, and flowers stretched their leaves to welcome the abundant sun. So-called whistling ducks yammered in the new lakes created by the pumped outflow of water from the cave. Wild boards rooted around, and the indigenous mountain goats called gorals scrambled up the steepest slopes. "Richard Harris and Craig Challen slipped past all that housekeeping for their initial dip into the chilly waters at Chamber Three, en route to their first visit to Chamber Nine. "As it turned out, it would also be decision day for the boys. While Harris and Challen swam out to Chamber Nine, Dr. Bhak explained to the boys that the pair of Australians who were coming needed an answer to the question of whether they wanted to wait out the monsoons or dive out. they excitedly answered that they were ready to leave. No one wanted to stay in that tomb. It was a good thing, too, because the doctors arrived with a message they might have been fully authorized to deliver: You are going out tomorrow. "Many of the parents urged their sons to tell Coach Ek that they were not angry with him. "Almost every parent wrote a note. The single exception was Dom's mother. She had gone back to help her parents with their amulet shop. The Thai SEAL who was compiling the letters noticed the absence of a letter to Dom, and instead of calling the mother to ask her to return to camp or to dictate a letter, she says she jotted one down himself: 'Dom, your mother is busy with work today.' It had been a few days since Dom's mother had wept, but the tears dribbled down again: the first words her precious son would hear from his mother after two weeks of hell was that she was 'busy'? Dom's grandmother, her elegant bangles clicking, held her daughter right there in the shop's office amidst the boxes of goods, promising her she'd be able to make it up to him soon. "All of the parents were devoted, but Dom's mother was perhaps more than most. She is broad-shouldered and sturdy. she says that once the Thai SEALs arrived she'd started lifting water bottles and anything else in camp that resembled a weight she could lay her hands on 'to train.' Maybe, just maybe, she thought, they would allow her to join the team going in to the boys. It's not that she was delusional; she and nearly everyone else outside the cave woefully underestimated the tracherousness of the mile-and-a-half route to Chamber Nine. "The boys and their coach, who had actually walked the now-submerged route, would have had little concept of how much more difficult it would be under water. They also had no notion of the 'Cave Boys' hysteria that awaited them in the outside world, including the one thousand journalists just outside the mouth of the cave - and mercifully so." 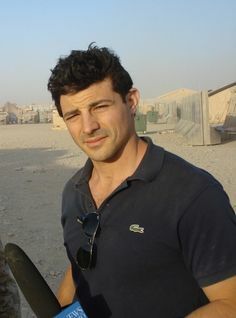 Gutman reports for all ABC News broadcasts and platforms, including “World News Tonight with David Muir,” “20/20,” “Good Morning America,” and “Nightline.” He has reported from 40 countries across the globe for the network and is also host of “Sea Rescue” on ABC. This is one of the most definitive accounts you will read of what really happened in that cave in Thailand, and this tale of heroism and the human spirit would be a perfect gift this holiday season.